Thank you for your interest in one of Coles Automotive's online offerings. 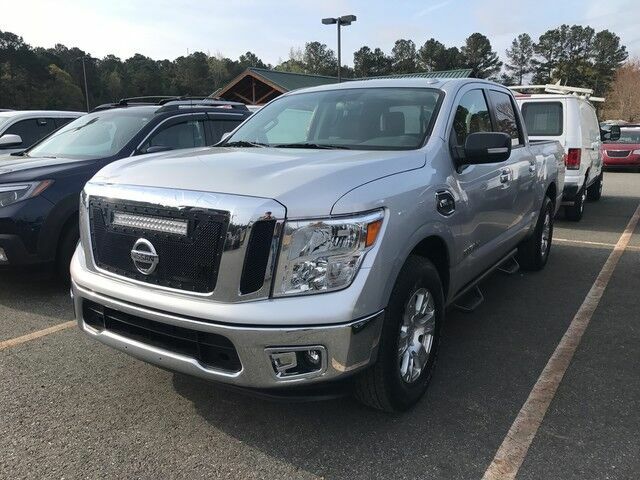 Please continue for more information regarding this 2017 Nissan Titan SV with 32,777mi. When you purchase a vehicle with the CARFAX Buyback Guarantee, you're getting what you paid for. A test drive can only tell you so much. Get all the info when you purchase a vehicle like this with a CARFAX one-owner report. You can tell this 2017 Nissan Titan has been pampered by the fact that it has less than 32,777mi and appears with a showroom shine. Enjoy the comfort of knowing this Nissan Titan comes equipped with a manufacturer's warranty. Pre-owned doesn't have to mean "used." The clean interior of this Nissan Titan makes it one of the nicest you'll find.